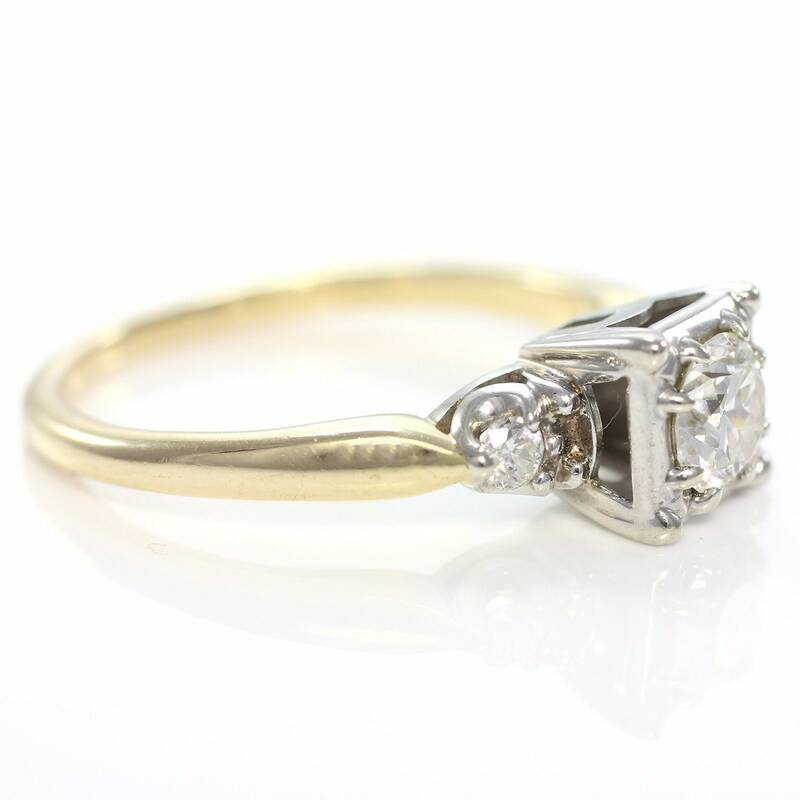 Early 20th Century engagement rings are the definition of romance, with beautiful old cut diamonds that display an entirely different sparkle and fire due to their deeper cut, higher crowns and small tables and open culets. 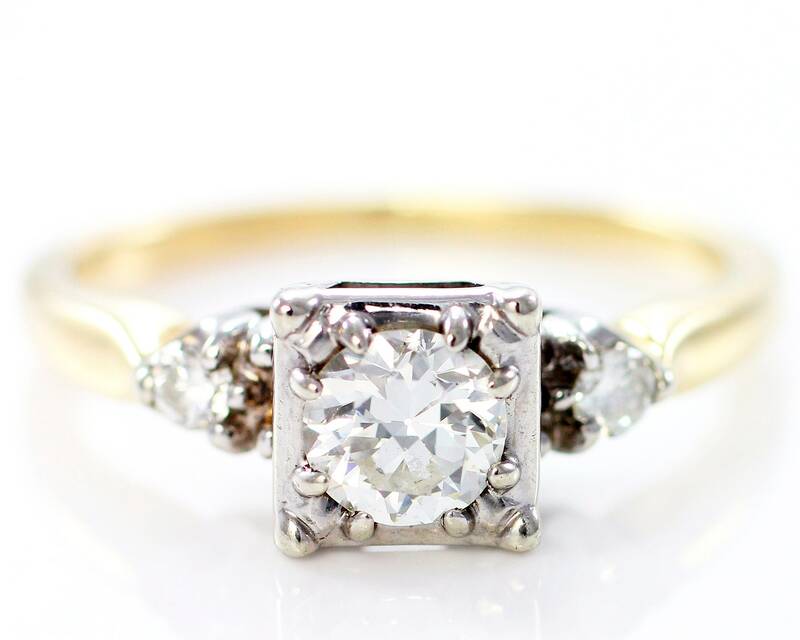 This exquisite vintage ring features one large Old European Cut Diamond of approximately .48 carat set in a white gold illusion head with eight prongs, flanked by two smaller Old European Cut diamonds of approximately .10 carat combined weight that are bead set in white gold as well. 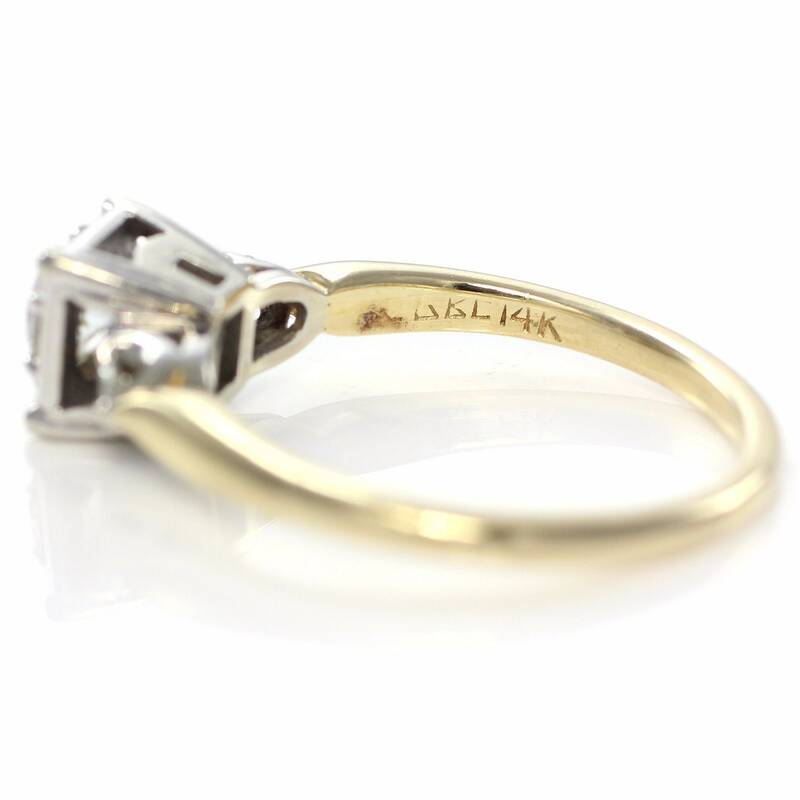 All diamonds are natural, earth mined stones and are untreated. 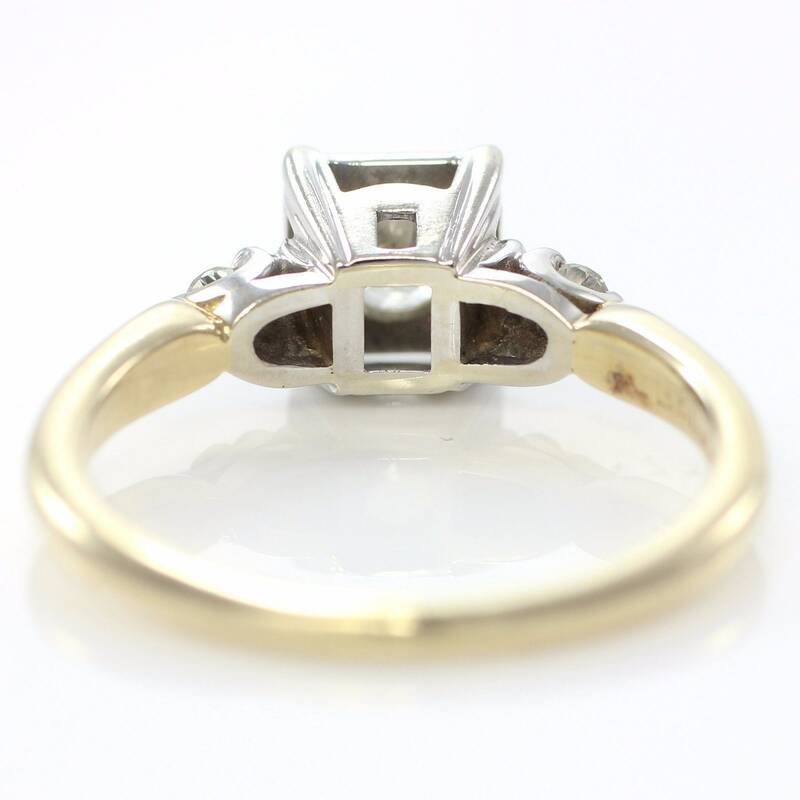 The square white gold head is set atop a 14K yellow gold shank and the ring is a size 7.25, which could be resized by your professional jeweler. Center Diamond Clarity: VS2 Very beautiful clean stone with indented natural at girdle extending onto pavilion at facet junction. Not noticeable when viewed face up. Condition: Excellent Vintage Condition. 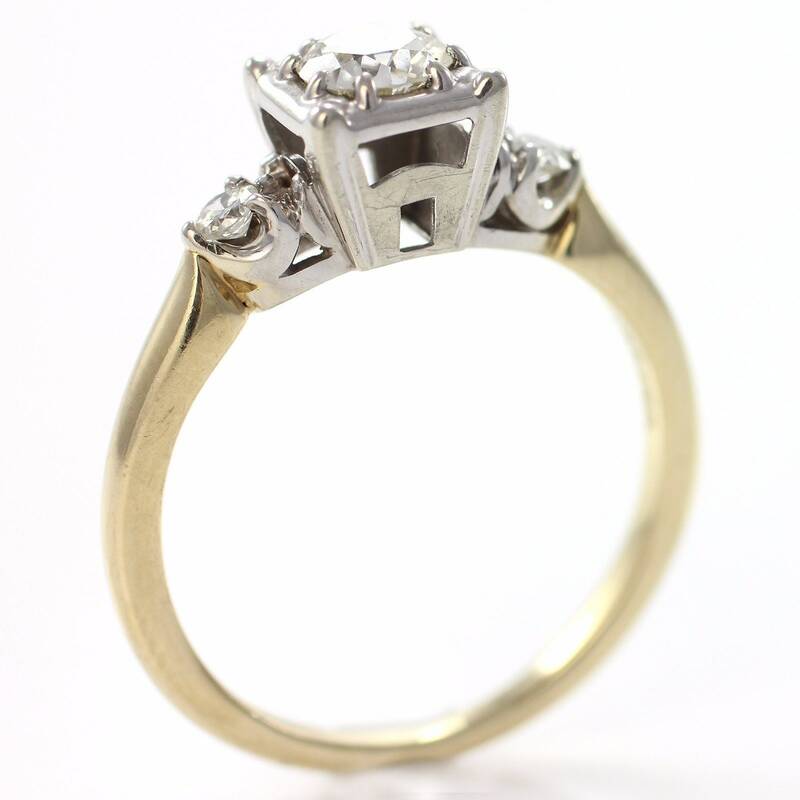 This ring has been previously owned and worn.